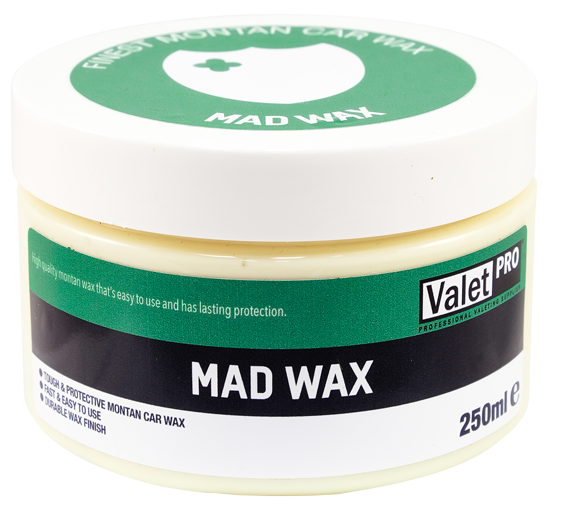 Mad Wax is a Montan based paste wax giving good gloss and durability. 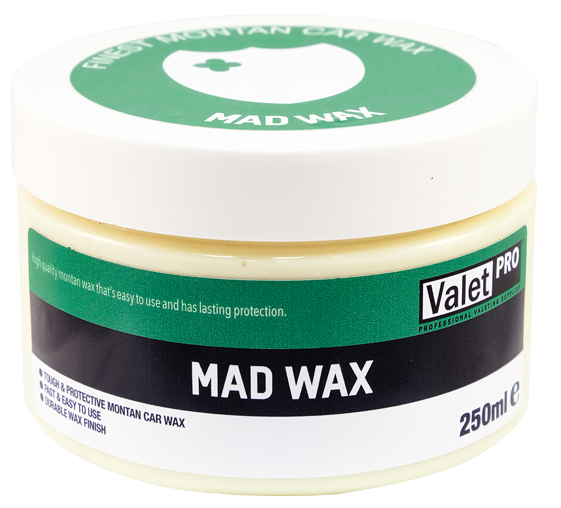 Mad Wax is a Montan based paste wax and excellent value for money which performs equal to waxes many times its price. Montan Wax is an alternative to Carnauba as it has many of the properties Carnauba Wax does. It gives good gloss and is a very durable wax. We have used highly refined Montan waxes in this formulation that deliver a crisp gloss shine that lasts. this is a great car wax and one we are very proud of. Tough and Protective Montan car wax. Durable wax finish offering up to 3 months. Apply product using a Valet Pro black wax applicator. Spread evenly across entire car. Allow to cure for 5 minutes then buff to a high gloss.